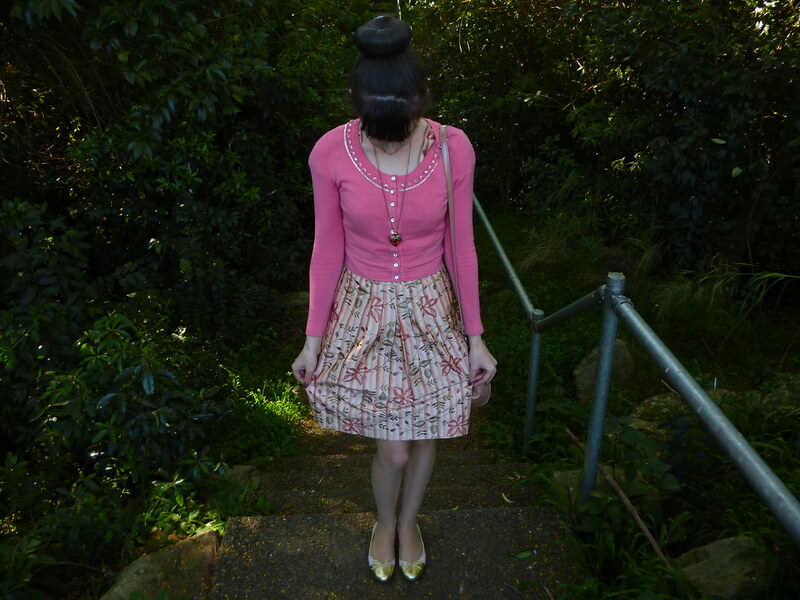 My ‘Please Kill Me Dress’ from Alannah Hill is very special. I posted it back in the early days of my blog and I can’t wait until the warmer weather so I can start to wear it again by itself. My mother in law bought me this dress a few years ago. 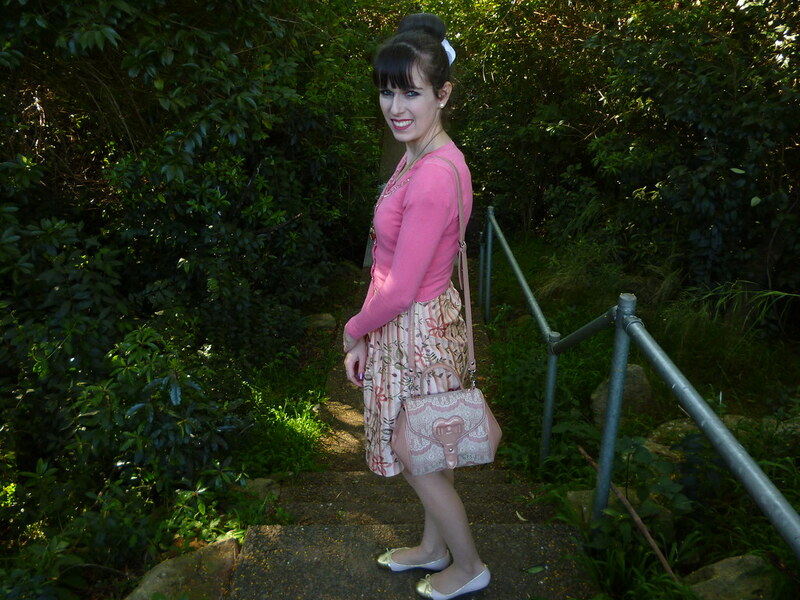 It’s the first piece I ever owned from Alannah Hill and I couldn’t possibly explain my excitement at the time. 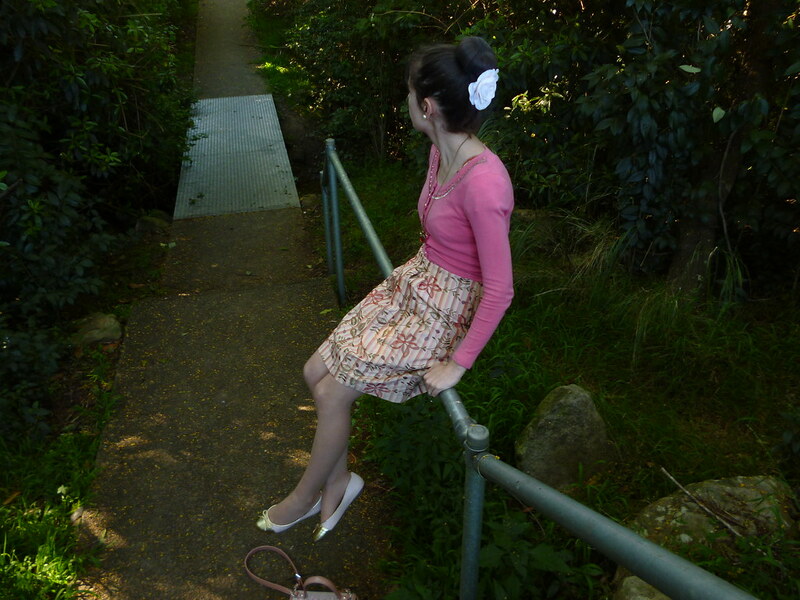 Although I own many Alannah Hill items now, my first one will always be memorable. Since I don’t own anywhere near as many Alannah Hill dresses as I do cardigans, I definitely treasure the few dresses I do have. The delicate floral design is beautiful, the silk material is so gorgeous and the gold lining is a lovely finish (this dress also features a stylish cut out at the back). I love the silk!!! (just had to say that again). I adore how I can style this dress with various shades of pink to create a super girly outfit.A beautiful dress…which reminds me of beautiful times. There are certainly some wonderful sales at the moment. I purchased these shoes from Peep Toe recently for $49. They are wonderful quality and highly discounted. I’ve wanted a pair of white flats for ages to wear with my lighter coloured floral dresses as the warmer weather approaches. These are a very subtle shade of pale pink but I believe they can pass for white. The addition of gold makes them even more exciting. 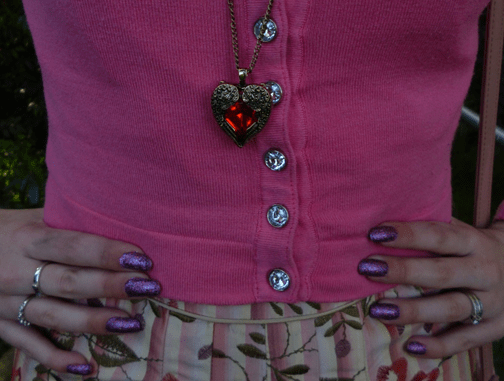 Finally, I received this amazing Vintage styled Heart Pendant necklace courtesy of Chicnova. It’s so unique and sweet; I’m very happy. The tarnished effect is lovely since it adds a vintage touch and the bold red stone makes it stand out. Later in the week I’ll show you my other jewellery which I received from Chicnova. I definitely recommend you check out their site. I say this every year. I always find it interesting the impact that the first day of warm weather has on the community. This weekend, out of nowhere, came two summers days right in the middle of winter.The outdoors were busy, summer dresses came out and there was a general happiness in the air…exciting times. This was also the inspiration behind my outfit. I believe it has a real spring feel to it. I also wore this outfit to work. Pink and investment management go wonderfully together. I love purple sparkly nails too! I decided to go for my wedding nails again; I should definitely have glitter nails more often. Have a wonderful week. 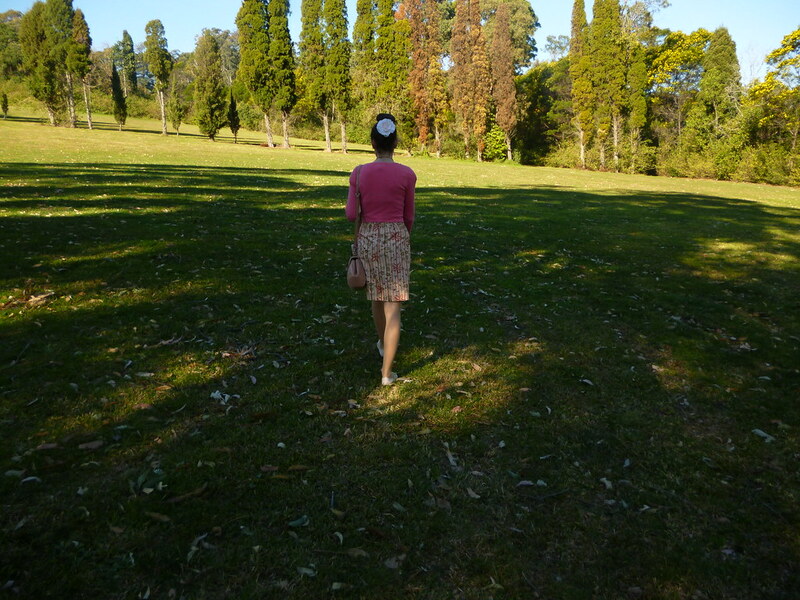 This entry was posted in Alannah Hill, Chicnova, Outfits, Peep Toe Shoes. Bookmark the permalink. You look so cute! Love your shoes!! 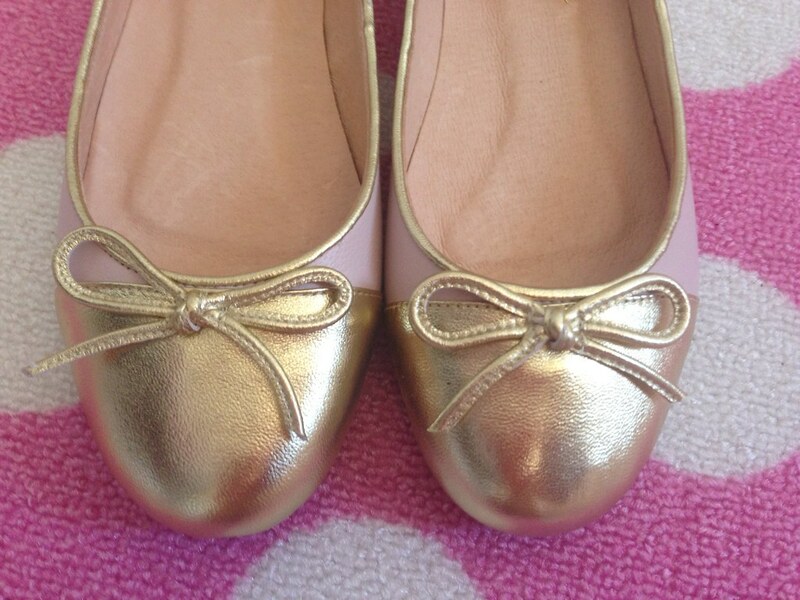 Those golden flats are so cute! I really love the pink cardigan and you look wonderful as always! That pink cardigan is so cute and I adore that dress! You look amazing! Pink suits you too!!!! Thank you, my dear Imogen. You look like a pretty doll such a true pleasure to see yo again. Your blog takes a while to load. Have you considere less post on the first page? The pink cardigan is very nice! girl, you really have the best collection of cardis and beautiful coats. i'd love to dig through your amazing collection. Love this outfit you look super cute. Great styling. I wish summer is just starting here…sigh…. What a pretty dress! And I love how you accessorized. The flats and especially that purse are so beautiful! Ohmygosh, I love your outfit. Your style is always the best. So cute, I love the print of this skirt. You just have the cutest outfits! Love your purse! Pretty skirt! Love those ballet flats. I am in the market for a new pair… hoping I can find some at one of the many Labor Day sales going on this weekend. Have a wonderful day! 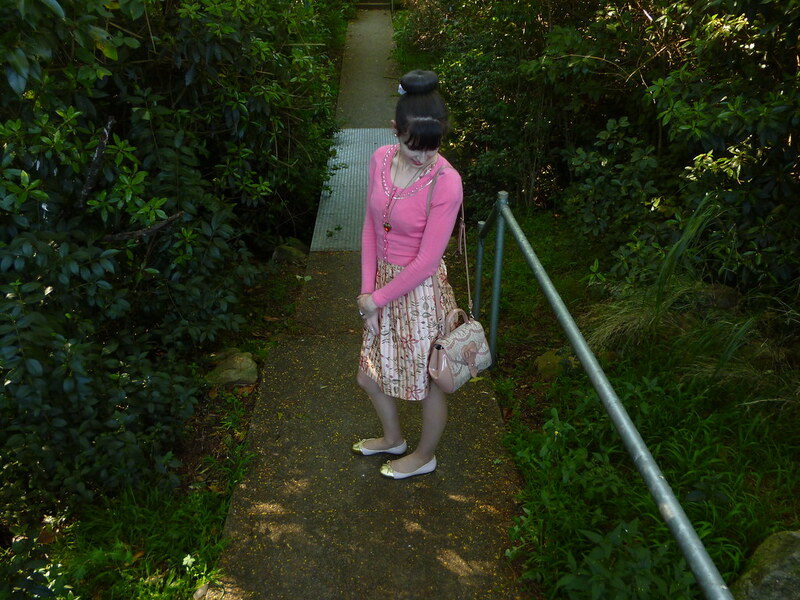 love this adorable lady-like outfit! so classy and cute, amazing job with your styling! Recently I really love pink on pink 🙂 you look soooo pretty in this outfit! love the pink cardigan!!! wish you the best of luck, dear!